Zippo Slim Venetian Lighter | BUDK.com - Knives & Swords At The Lowest Prices! First released by Zippo in 1974, the Venetian recently marked it&apos;s 30th anniversary. 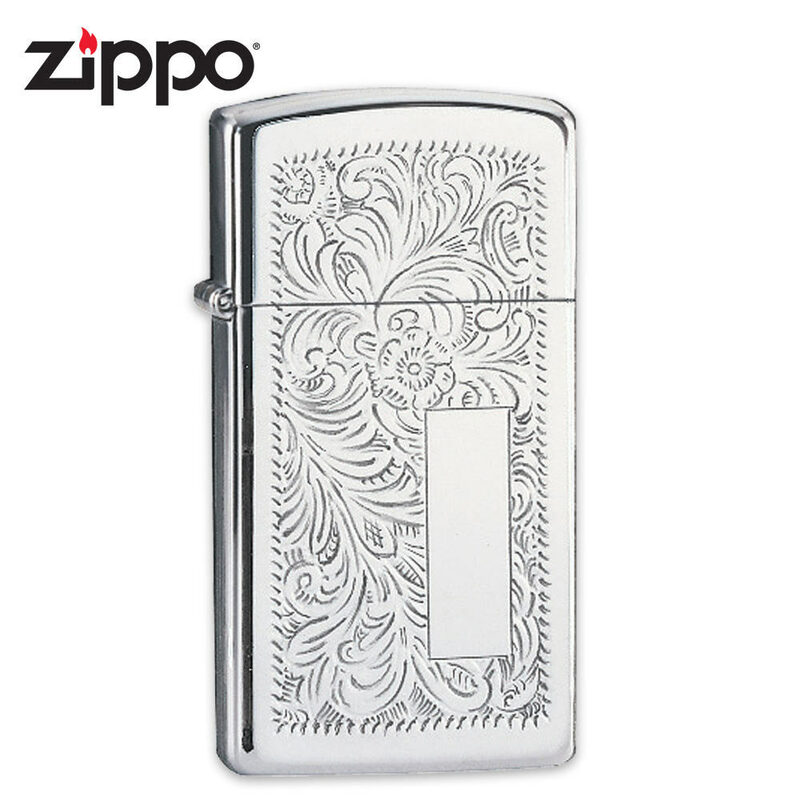 For over three decades, the timeless front and reverse floral pattern continues to be the most globally appealing lighter design Zippo has ever released. Wind Resistant. Lifetime Warranty.